Agents warning their clients against excessive holiday decorations may choose to make an exception in this case. An entire neighbourhood in Yucaipa, California, collaborated to create the best Christmas light show, possibly of all time. 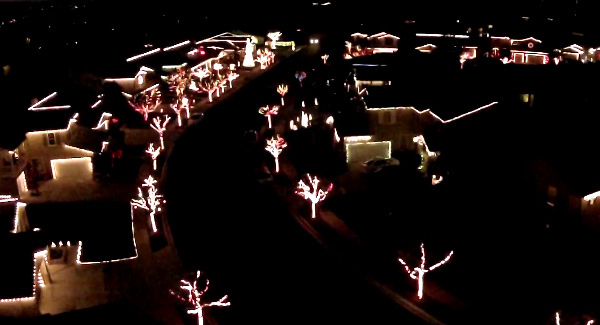 The displays were recorded by Jeff Maxley, who used a drone to catch the neighbourhood in all its festive glory. Watch the light shows below!